Free Customization! Add your park or community name, maximum of 25 characters/spaces per plank. 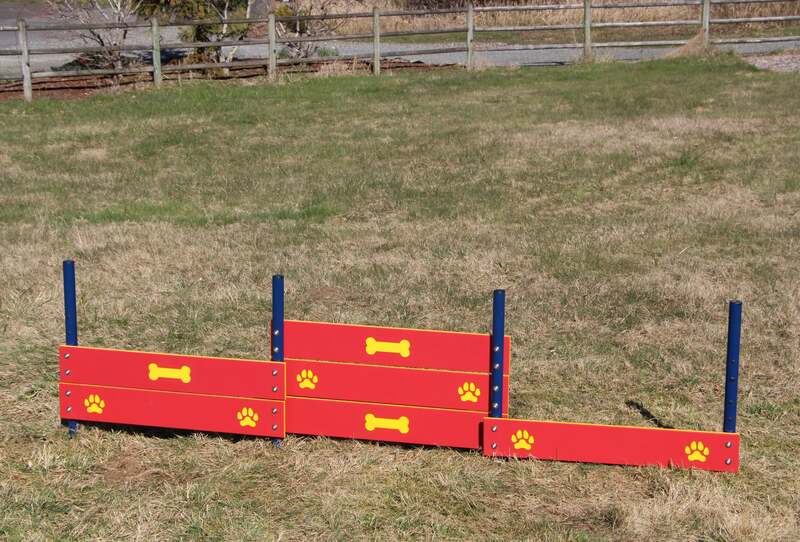 Space saving, economical design—perfect for smaller dog parks. 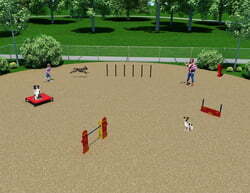 Incorporates three jumps into one component to accommodate dogs of all sizes and abilities. Eco-friendly recycled plastic panels are durable and low maintenance. 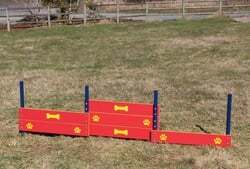 Extended-length posts help to visually direct dogs over the jumps. 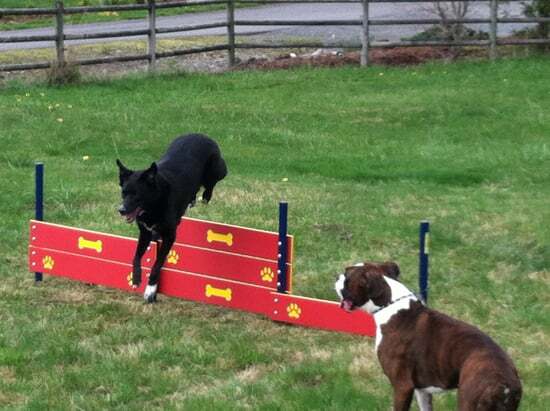 Start your dog with the single-plank jump and work your way up to the higher ones for more challenge. 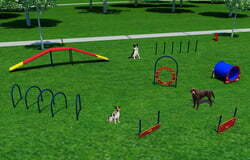 Ask us about customizing with your park or community name! 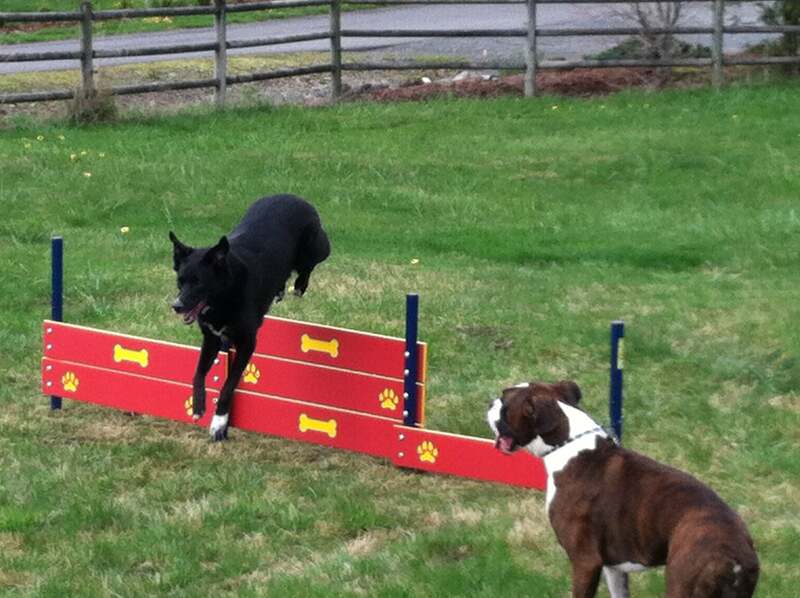 Constructed of 100% recycled HDPE plastic panels with our custom engraved paw and bone details. Rust-proof aluminum posts are 80% recycled content.